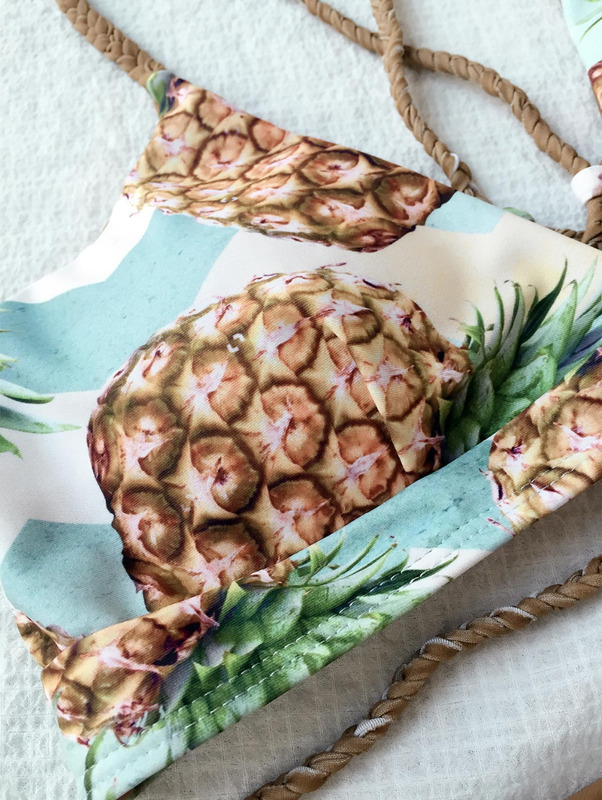 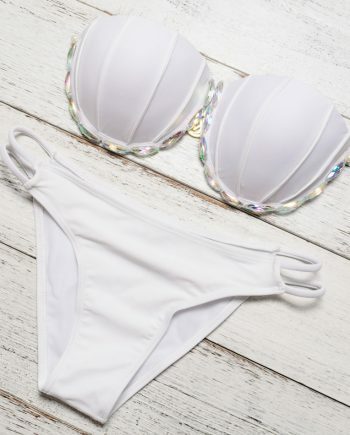 You simply cannot go wrong with this bathing suit. 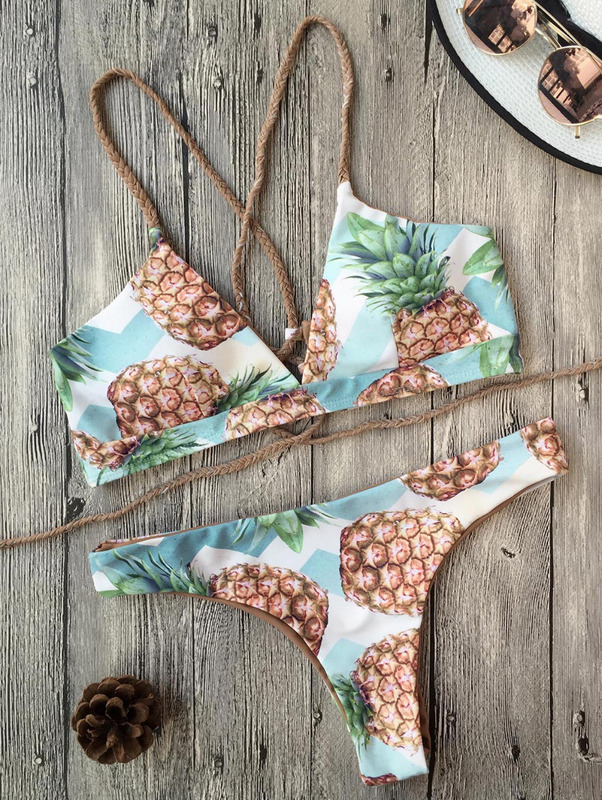 Its pastel color scheme screams summer. 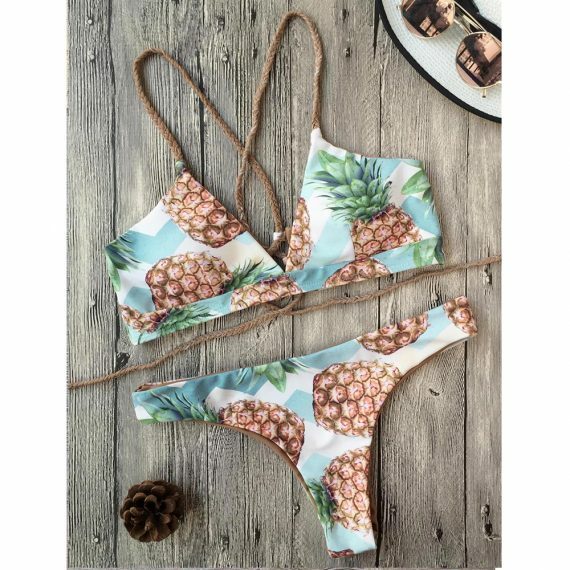 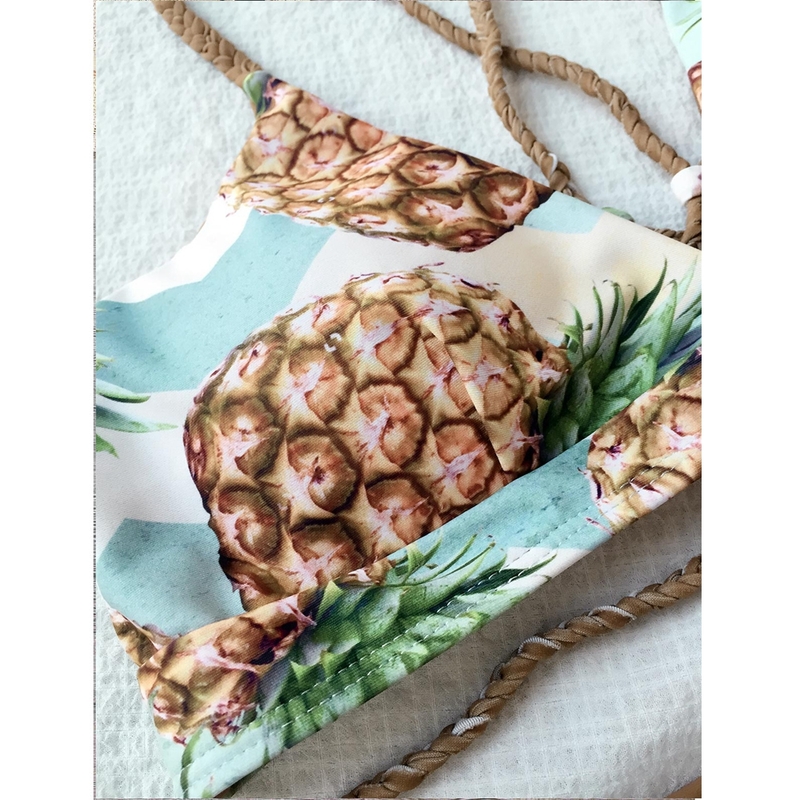 Plus, the pineapple pattern gives it a tropical vibe that will make you want to start sipping a piña colada immediately.